If you are dealing with a knee injury owing to your working conditions, a workers’ compensation attorney may be able to help you get the appropriate compensation. On behalf of Koszdin, Fields, Sherry & Katz posted in Workplace injuries on Wednesday, February 22, 2017. If your job entails constant movement, you can put a great deal of stress on your knees. We use our knees when we walk, kneel, crawl and lift. And some jobs, such as installing flooring and carpeting, involve putting much of the body’s weight on the knees for many hours a day. The knee is comprised of joints, ligaments, tendons, cartilage and the bursa. Each of these parts has its own specific function, and each can become injured over time due to constant stress and wear and tear. Contact stress, which can occur if the knee is pressed directly on a hard surface. Contact stress can also occur by using the knee for pounding things in a hammer-like fashion. Overexertion, which can lead to tendinitis. Overexertion can also cause the pain and tearing of muscles around the knee. Squatting and kneeling, which can place pressure on the bursa and overstretch the ligaments. Not only can this lead to painful inflammation, but it can also make the knee unstable and vulnerable to buckling. It is not uncommon for workers to do their jobs while enduring knee pain. But it is important to remember that pain is a signal that something is not right with the body. Therefore, if you have been experiencing pain in one or both of your knees, it is a good idea to get yourself checked out by a doctor. It is better to treat knee pain early, rather than letting the symptoms worsen. By waiting too long, you may face serious consequences if the knee becomes too damaged. You may even need a full knee replacement. 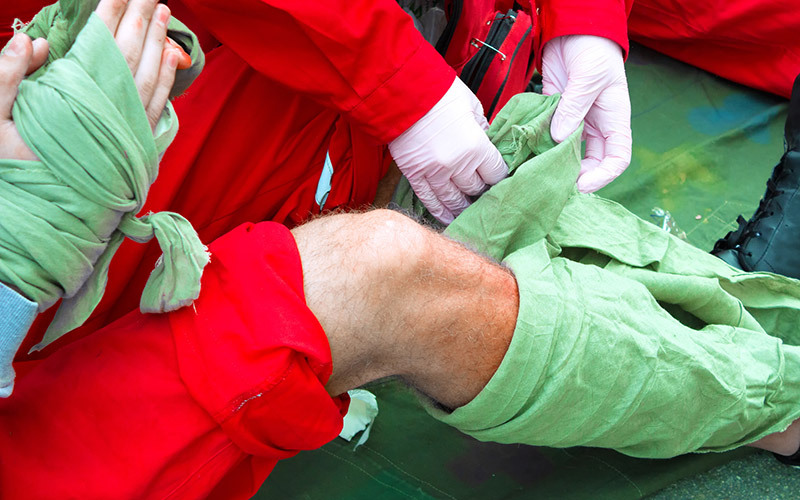 Knee injuries are often the result of repetitive stress on the job. Such injuries are not only painful, but they can require expensive medical treatment and force a person to miss days, weeks or even months from work. If you are dealing with a knee injury owing to your working conditions, a workers’ compensation attorney may be able to help you get the appropriate compensation for your treatment and recovery.